As many know I've collaborated with Gbox to distribute a few videos (see examples below). Gbox is a new venue where creators post content for a fee allowing them to expand the quality and scope of their work. Creators can charge what they wish. In the tradition of Thick Paint I plan to keep costs low. I made the Thick Paint blog as a resource for artists who were struggling to find art information communicated in a clear fashion. I don’t want to create obstacles to that objective. But I want to expand my project–specifically by making a series of videos about plein air painting via Gbox. One of the creators of Gbox, Dirk Lueth, gives excellent reasons for why Gbox is the next step in web evolution–while speaking highly of the Thick Paint project. I use the word revolution. I really do think their concept will change the way content is provided. I'm offering many videos, two of which you can access below, and am pleased with the ease of upload and use. 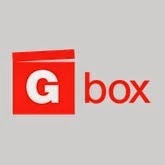 If you are a content provider I think you should take a look at Gbox. As mentioned they are in the beta phase and are tweaking as they go. In the days to come they will be providing a more informative user interface as well as a PayPal entry point among many other innovations.